and may be a little trendy, possibly overhyped, and tends to be misunderstood as a subject. Let me delve a little deeper into painting a picture of what it is able to do (and solve). In essence gamification presents an innovative way to solve real-world problems in a simulated environment. We are seeing proven cases of success of it’s applications and it still has a lot of untapped potential and evolution to take place before making it full circle. 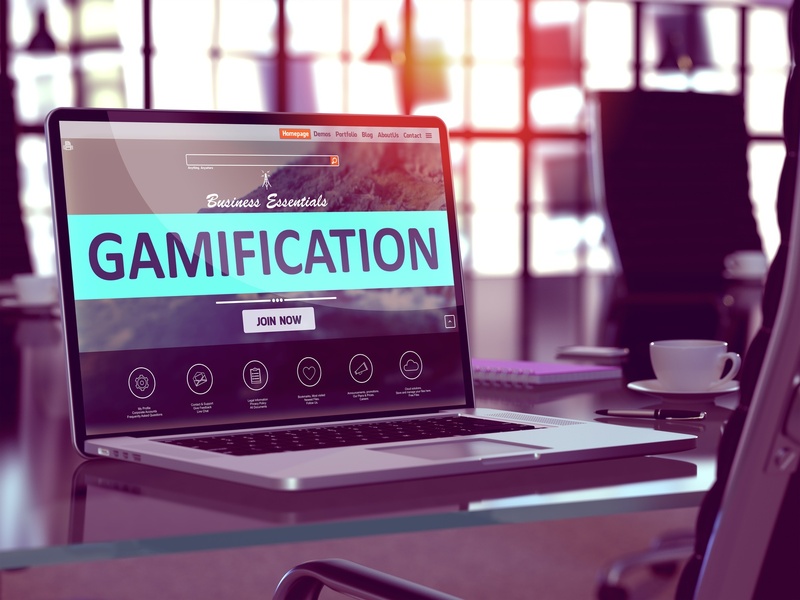 How can you solve problems through Gamification? The U.S. Government and businesses are all turning to gamification to help in addressing and solving real-world problems. When you take a real-world problem and put a spin on it to provide a challenging, fun and interactive environment in which to solve it; the person has more drive to want to solve the problem and realize the reward/ recognition for their achievement. You can reach a diverse range of people from a whole host of backgrounds and education to address a solution to a problem that might not have otherwise been able to be reached without the concept of problem-solving through gamification. By brainstorming together, an unlimited number of participants can ultimately increase the opportunity of solving the problem that is presented. Within a simulation type of environment trainees have the ability to test their skills outside of the classroom in a simulated real-world like experience without any of the real-world ramifications for the wrong decision being made. One such example took place in 2011 when nearly one thousand people from around the world logged on to the internet and began playing a new online computer game based around a geopolitical situation located off the coast of Somalia. In the game, players had to create action plans to respond to piracy in international waters, and not only through military means. The gamers were also special: political, military, legal, technical and security experts from a wide range of fields. This game introduced a new concept which came to be known as “Massive Multiplayer Online Wargame Leveraging the Internet” or (MMOWGLI) for short. This initiative was run by the United States Office for Naval Research (ONR) along with the Naval Postgraduate School (NPS). This is a solid example of the application of gamification utilizing problem-solving techniques to gain a variety of input that would otherwise not have been received. Another example of gamification related to problem-solving also took place back in 2011. This is when the team behind Foldit – a crowd-work game developed at the University of Washington – made headlines for unlocking the structure of an AIDS related enzyme found in monkeys. What had stumped scientists for 15 years was solved within a matter of 10 days by nearly 40,000 people (mainly non-scientists) playing a game online. Let’s just review those numbers… What took 15 years for scientists to try to solve was unraveled within 10 days by utilizing gamification elements and thus bringing the scientific community that much closer to a potential cure for HIV and other retroactive viruses! That is a feat in itself and just goes to prove my point that gamification does have powerful potential to make change as well as a large variety of applications in which it can be applied to. Phylo, created by a research team at McGill University is an example of gamification problem-solving through “multiple sequence alignment” or in other words deciphering DNA, RNA or proteins and comparing them against other species to find commonalities and other information. The ‘game’ becomes one not of just coordinating patterns, but also that of decision making. It allows players to choose their level of difficulty and even select what disease they want to help study. By participating in Phylo one has the ability to help science along in helping to cure a variety of diseases and better know human development. By collaborating and sharing ideas with others the application of gamification has unlimited potential to solve problems, whether they be simple or complex. It’s not just another gaming technology… gamification has the power to do just about anything and solve real-world problems that may otherwise go unsolved or take a much longer duration of time to answer. Therefore the creation of a problem-solving simulation can provide great business value and help a business realize input from employees that might not be received through other means. How can a game really solve a problem? Gamification not only harnesses the power of games, but also that of human tendency to compete against one another and problem solve. By nature, we as humans for the most part want to be rewarded, attain a status and just be in a competitive type of environment. This is especially true when one person (or the power of many people) can help a cause or benefit mankind. Ultimately humans and machines, when working together through gamification have the possibility of making real-world change. It’s outcomes like the ones mentioned above that have the power to revolutionize outcomes for science, health, business and a whole host of other topics. So as you can see from business problems and beyond, gamification problem-solving has the power to create change and make a difference.